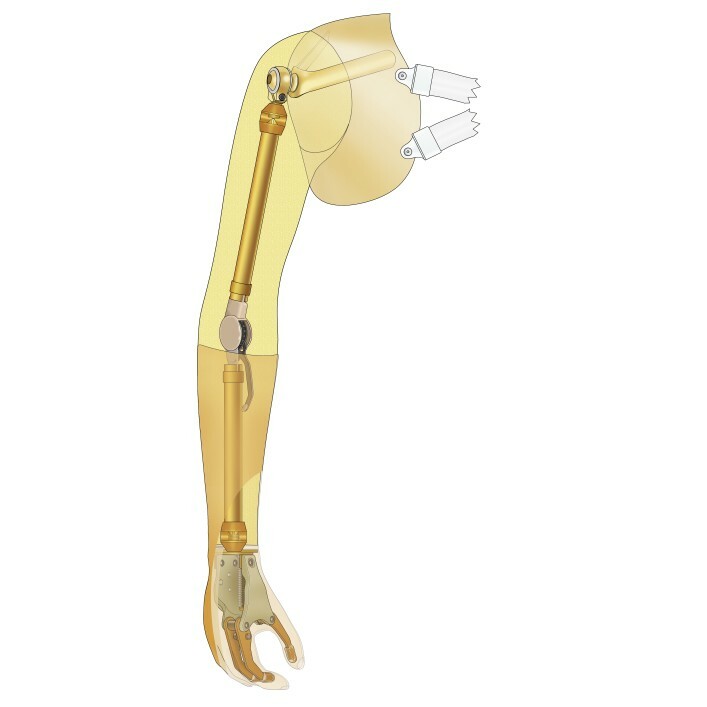 The role of an upper limb prosthesis goes beyond restoring physical movement. Having the right prosthesis is also important in social life, communication, and performing tasks at home and on the job. For people who need a rugged primary or secondary prosthesis, body-powered solutions often provide the right balance of performance and convenience. You’re in control. Our body-powered prosthetic solutions provide individuals with upper-limb amputations solid and reliable options to help them participate in work and leisure activities. Our innovative harnesses for above-elbow and below-elbow prostheses offer all the features that upper-limb prosthesis users are looking for: excellent comfort, precise control, and more natural movement. Amputees who value the appearance of their prosthesis rather than its functionality are well advised to obtain a passive arm prosthesis.